I came home from Texas to find spring busting out all over in DC. 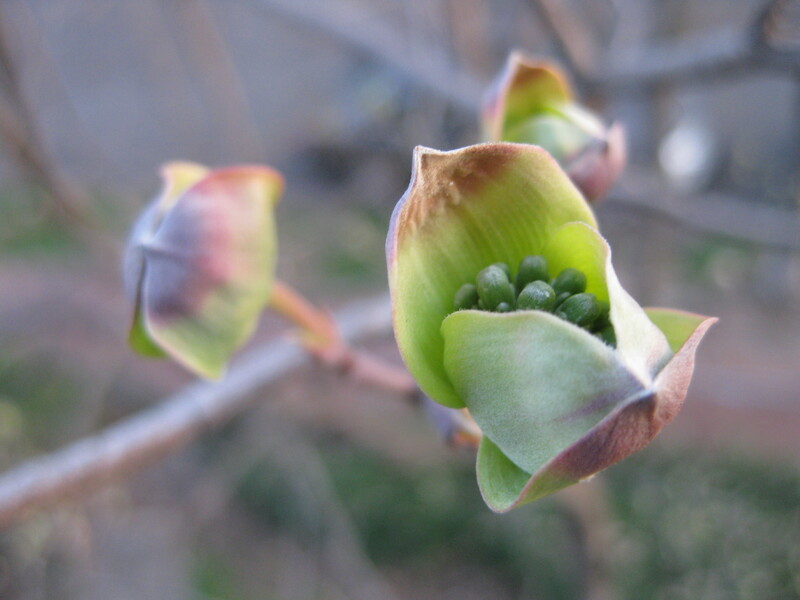 This is the dogwood behind my house, getting close to blooming. Or maybe it's an alien - hard to tell based on how it looks.